fantastic place to craft in! Did you make the pink trash holder? The one attached to the cup holder? So organized! Wonderful work space. What would we do without Sterlite drawers?? Love the space! FANTASTIC!! I LOVE your organization! So much space!! How fun I bet to work in here. Best design I think I've ever seen! Awesome!!!!! You've designed the perfect workspace!!!! No wonder you produce such pretty los. Love your scrappy space. I just love your room! Fabulous! 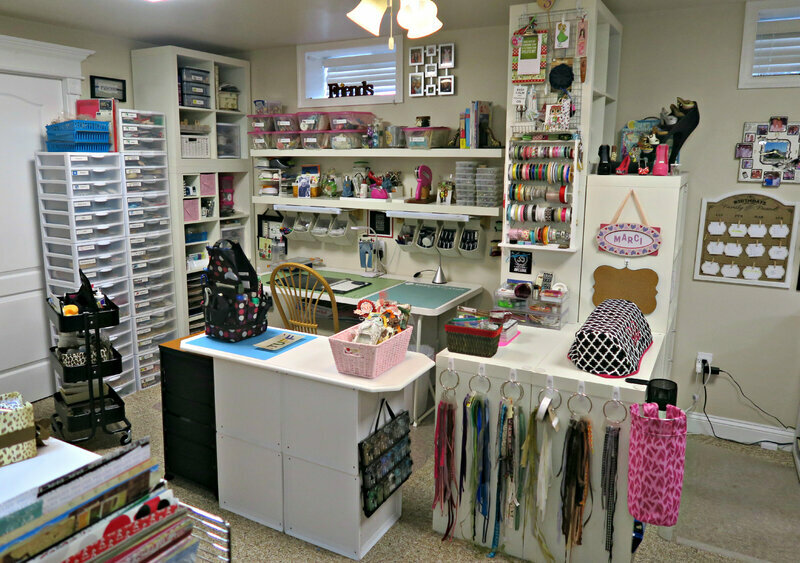 What a fabulous craft room, Marci!! Such a lovely studio Marci!